GLASGOW TV Chef Jimmy Lee is on the hunt to find Scotland's most talented home cooks in 'My Kitchen Rules UK'. The Channel 4 show kicked off this week and is set to uncover Britain’s most talented home cooks. 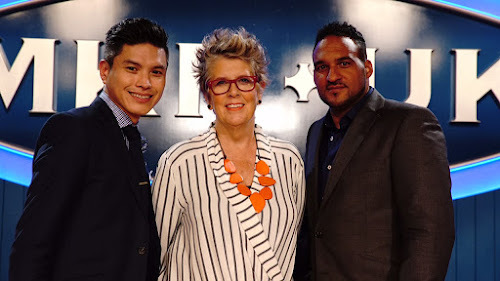 Two-time Michelin Star awarded restaurateur Michael Caines MBE, one of Britain’s most acclaimed chefs, and Michelin Star Queen of home cooks and food writer Prue Leith CBE, one of the country’s foremost authorities on all things culinary, join forces to judge the contest. Together across the new series, they will judge entrepreneurial amateur cooking duos hoping to take home a top prize of £10,000 and prove that their home cooking is up to restaurant standard. Scottish Chef Jimmy Lee is owner of award-winning Cantonese restaurant, Lychee Oriental on Glasgow’s Mitchell Street, and will join the judging panel to oversee the Scottish heats with the regional finals being aired on Friday 7th October at 5pm on Channel 4. Jimmy said, "I am delighted to join Prue and Michael to find the best home cooks that Scotland has to offer. Not only do we have brilliant fresh produce available in our country but we are also home to some talented cooks and I'd love to see a Scottish team win the first series of the new channel 4 show". In the competitive elimination format, 16 pairs of amateur cooks will create pop-up restaurants in their own homes, where they will prepare a menu of dishes for judges Prue and Michael and their rival contestants to critique. The 30 x 60’ series from 7 Wonder – one of the UK’s fastest growing independent TV production companies, is based on the knock out success of Australia's ‘My Kitchen Rules’, which holds the top spot as the country’s number one show on Seven Network. My Kitchen Rules UK has been commissioned for Channel 4 daytime by Syeda Irtizaali, Commissioning Editor, Entertainment. The series has been a huge success in Australia and hopes to repeat its momentum in the UK.